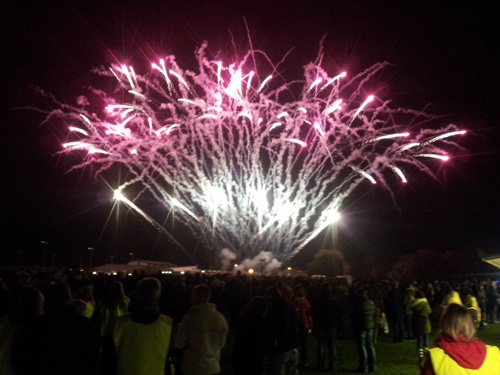 Thousands turned out for the Great Western Round Table firework display in Downend tonight raising money for local charities. The annual event which has become a staple of the community because it is so well established with people looking forward to it year on year was supported by Radio Bristol who provided a showcase for several young performers to entertain the crowds. For younger families there was their own display early on before the main event took place at 7.45 which was pretty spectacular, the event provides local charities with a much needed boost, in fact since the first event back in 1971 the Round Table has raised more than half a million pounds for many worthy causes.